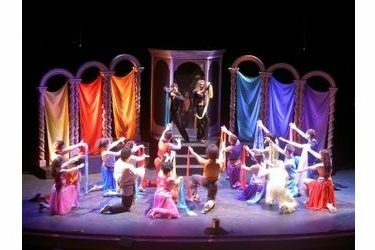 Broadway Academy of Performing, a kid’s theatre camp, is now accepting registrations. The camp dates will be June 2nd – 9 th at Seward County Community College / Area technical School . Kids ages 11-20 are eligible. The campers will arrive the afternoon of the 2nd, audition and rehearse all week for this year’s production of Pippin , by Stephen Schwartz, who also wrote Wicked. Broadway Academy of Performing is now in its 15 th year, and this is the 4th year at SCCC/ATS. The campers of Broadway Academy of Performing consist of residents from the five state area. While in rehearsal, they are directed by professionals in the music, dance and theatre industries, including the Drama Director for SCCC, Alison Bridget Chambers. Campers will live on campus and eat in the cafeteria while preparing for the performance . Past productions include Footloose , Once Upon a Mattress, A Chorus Line and Into the Woods. The production will be in the Showcase Theatre on the SCCC/ATS campus on June 9 th at 2:00pm. Reservations not required. Tickets are $5 for students and seniors, $7 for adults.